Chivas Regal Gold Signature would be a great choice for a Scotch enthusiast who enjoys blended Scotch whisky or an nice gift for someone who regularly drinks Chivas Regal 12 year. Dollar for dollar, this is one of the better values in luxury blended Scotch whiskies and a whisky that I personally always keep in stock. 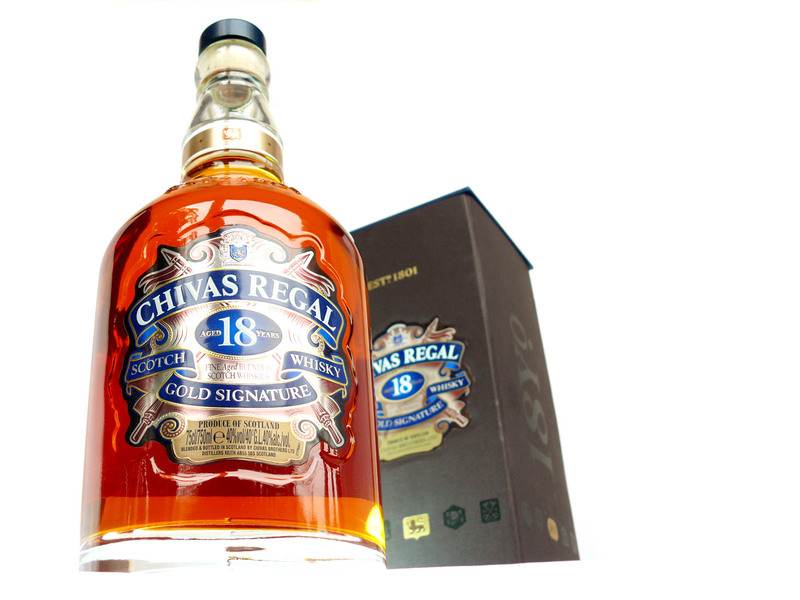 Overall, Chivas Regal Gold Signature is a fantastic whisky at a great price and I highly recommend tasting it. The above is not what I think about Chivas Regal. This is a review I copied from about.com. But hang on, this is not what about.com thinks of Chivas Regal 18 Year Old Whisky. This is a review provided by the manufacturer. "a whisky that I personally always keep in stock" I know, you have a whole cellar full of it, in casks as well as bottles. As the old Hindi saying goes "Apne dahi ko kaun khatta kehta hai"
Do you think making a statement like "a whisky that I personally always keep in stock" is okay or is it stretching it a little too much?